Paul S. Adler is Professor of Management and Organization, of Sociology, and of Environmental Studies at the University of Southern California. He holds the Marshall Business School’s Harold Quinton Chair in Business Policy. He began his education in Australia and moved to France in 1974, where he received his doctorate in Economics and Management while working as a Research Economist for the French government. He came to the USA in 1981, and before arriving at USC in 1991, he was affiliated with the Brookings Institution, Columbia University, Harvard Business School, and Stanford’s School of Engineering. Alejandro Camacho is a professor of law and political science at UCI. Professor Camacho’s expertise is in environmental law, land use regulation, and government organization. His legal scholarship includes articles published in the Washington University Law Review, Yale Journal on Regulation, Harvard Journal on Legislation, and Stanford Environmental Law Journal. In Fall 2017, he was the Florence Rogatz Visiting Professor of Law at the Yale Law School. He also serves as the inaugural Director of the UCI Law Center for Land, Environment, and Natural Resources. Peter Gleick is a world-renowned expert, innovator, and communicator on water and climate issues. In 1987 he co-founded the Pacific Institute, which he led as president until mid-2016, when he became president emeritus. Dr. Gleick has received the MacArthur “Genius” Fellowship and was elected to the U.S. National Academy of Sciences. He serves on the boards of numerous journals and organizations, and is the author or co-author of many scientific papers and 11 books. Erika Hayasaki's feature stories and essays have appeared in WIRED, The Atlantic, Slate, Newsweek, TIME, The Wall Street Journal, Pacific Standard, and other publications. She spent nine years as a staff metro reporter, education writer, and New York-based national correspondent for the Los Angeles Times. She is a 2018 Alicia Patterson Fellow, receiving the Cissy Patterson award for science and environmental reporting. She has been an editor-at-large for Narratively and Zocalo Public Square, and is the author of The Death Class. Erika teaches courses in nonfiction storytelling, digital longform, and science and medical narrative writing at the University of California, Irvine, where she is an associate professor in the Literary Journalism Program, an undergraduate degree program dedicated to studying and practicing narrative journalism. Gabrielle Hecht is Frank Stanton Foundation Professor of Nuclear Security at Stanford University, where she is affiliated with the Center for International Security and Cooperation and the Department of History. She is also Senior Fellow at the Freeman Spogli Institute. Before returning to Stanford in 2017, Hecht taught at the University of Michigan for 18 years, where she served as Director of the Program in Science, Technology, and Society, associate director of the University of Michigan’s African Studies Center, and in other posts. She remains an active participant in UM’s collaborative project with the Wits Institute for Social and Economic Research (South Africa) on Joining Theory and Empiricism in the remaking of the African Humanities. Isabel Hilton is a London-based international journalist and broadcaster. She studied at the Beijing Foreign Language and Culture University and at Fudan University in Shanghai before taking up a career in written and broadcast journalism, working for The Sunday Times, The Independent, The Guardian, and the New Yorker. She is a columnist for The Guardian and her work has appeared in the Financial Times, the New York Times, the Los Angeles Times, Granta, the New Statesman, El Pais, Index on Censorship, and many other publications. She is the author and coauthor of several books and is founder and editor of chinadialogue.net, a non-profit, fully bilingual online publication based in London, Beijing, and Delhi that focuses on the environment and climate change. Hilton holds two honorary doctorates and was awarded the OBE for her work in raising environmental awareness in China. Cara Horowitz is the Co-Executive Director of the Emmett Institute on Climate Change and the Environment at UCLA School of Law. She teaches at the law school and directs the work of the Emmett Center to advance innovative research, public policy debate, and legislative reform to address climate change and its effects. She serves on the governing boards of local and national environmental organizations, including the Climate Law Institute, Climate Resolve, and the Green LA Coalition. Prior to joining UCLA, Professor Horowitz worked in the non-profit sector as a staff attorney at the Natural Resources Defense Council, where she litigated high-profile cases and advocated domestically and internationally to preserve and protect oceans and wildlife. She has also worked at Caldwell, Leslie and Proctor, a litigation boutique, and served as law clerk to the Honorable Dorothy W. Nelson of the U.S. Court of Appeals for the Ninth Circuit. David Kaye is Clinical Professor of Law and Director of the International Justice Clinic at UCI. He is also UN Special Rapporteur on the Promotion and Protection of the Right to Freedom of Opinion and Expression. Professor Kaye’s scholarship and teaching focus on public international law, especially international human rights law, international humanitarian law, accountability for violations of human rights, and the law governing the use of force. Prior to joining UC Irvine, he co-founded UCLA’s International Human Rights Program and founded its International Justice Clinic. In addition to his scholarship and teaching, Professor Kaye is an active member of the American Society of International Law, for which he served on its Executive Council and Executive Committee, and he is a member of the Council on Foreign Relations. Elizabeth Kolbert has been a staff writer at The New Yorker since 1999. Previously, she worked at the New York Times. Her New Yorker pieces have included political profiles, book reviews, Comment essays, and extensive writing on climate change. Her three-part series on global warming, “The Climate of Man,” won the 2006 National Magazine Award for Public Interest, the 2005 American Association for the Advancement of Science Journalism Award, and the 2006 National Academies Communication Award. She received a Lannan Literary Fellowship in 2006 and a Heinz Award in 2010, and won the 2010 National Magazine Award for Reviews and Criticism. She is the editor of “The Best American Science and Nature Writing 2009” and the author of The Prophet of Love: And Other Tales of Power and Deceit; Field Notes from a Catastrophe; and The Sixth Extinction, for which she won the 2015 Pulitzer Prize for general nonfiction. Douglas Kysar is Deputy Dean and Joseph M. Field ’55 Professor of Law at Yale Law School. His teaching and research areas include torts, animal law, environmental law, climate change, products liability, and risk regulation. He is co-author of two leading casebooks, The Torts Process and Products Liability: Problems and Process. In addition to his many articles and chapters, Professor Kysar’s monograph, Regulating from Nowhere: Environmental Law and the Search for Objectivity (Yale University Press, 2010), seeks to reinvigorate animal and environmental protection by offering novel theoretical insights on standing and inclusion, cost-benefit analysis, the precautionary principle, and sustainable development. Bill McKibben is an author and environmentalist who in 2014 was awarded the Right Livelihood Prize, sometimes called the “alternative Nobel.” His 1989 book The End of Nature is regarded as the first book for a general audience about climate change, and has appeared in 24 languages; he’s gone on to write a dozen more books. He is a founder of 350.org, the first planet-wide, grassroots climate change movement. The Schumann Distinguished Scholar in Environmental Studies at Middlebury College and a fellow of the American Academy of Arts and Sciences, he was the 2013 winner of the Gandhi Prize and the Thomas Merton Prize. A former staff writer for the New Yorker, he writes frequently for a wide variety of publications around the world, including the New York Review of Books, National Geographic, and Rolling Stone. Tun Myint is an associate professor of political science at Carleton College. His research examines the role of individuals and groups in the dynamic relationship between social changes and global environmental changes. His publications have appeared in Ecology & Society, Indiana Journal of Global Legal Studies, Legal Issues in Burma Journal, and Perspectives on Politics. He is the author of Governing International Rivers: Polycentric Politics in the Mekong and the Rhine. Professor Myint served as a member of the Technical Advisory Team of the Federal Constitution Drafting Coordinating Committee of the Union of Burma, and was previously a Research Fellow of the Asia Policy Program, a joint program of the National Bureau of Research and Woodrow Wilson Center for International Scholars. Manuel Pastor is Professor of Sociology and American Studies & Ethnicity at the University of Southern California. He currently directs the Program for Environmental and Regional Equity (PERE) at USC and USC’s Center for the Study of Immigrant Integration (CSII). He is the inaugural holder of the Turpanjian Chair in Civil Society and Social Change at USC. Dr. Pastor’s research has generally focused on issues of the economic, environmental and social conditions facing low-income urban communities – and the social movements seeking to change those realities. His most recent book is State of Resistance: What California’s Dizzying Descent and Remarkable Resurgence Means for America’s Future. Dr. Pastor was the founding director of the Center for Justice, Tolerance, and Community at the University of California, Santa Cruz. In January 2002, he was awarded a Civic Entrepreneur of the Year award from the California Center for Regional Leadership. Kavita Philip is an Associate Professor in the UCI Department of History. Her research interests are in technology in the developing world; transnational histories of science and technology; gender, race, globalization and postcolonialism; environmental history; and new media theory. Her essays have appeared in the journals Cultural Studies, Postmodern Culture, NMediaC, Radical History Review, and Environment and History. She is author of Civilizing Natures (2003 and 2004), and co-editor of the volumes Constructing Human Rights in the Age of Globalization, Multiple Contentions, Homeland Securities, and Tactical Biopolitics. Her work in progress includes a monograph entitled Proper Knowledge, on technology and property. Nathaniel Rich, a writer-at-large at the New York Times Magazine, is the author of the novels King Zeno, Odds Against Tomorrow, and The Mayor’s Tongue, each a New York Times Editors’ Choice. He is a regular contributor to the Atlantic and the New York Review of Books; his essays and short fiction have appeared in Harper’s, Vanity Fair, Rolling Stone, Vice, McSweeney’s, and the Virginia Quarterly Review, which awarded him the 2017 Emily Clark Balch Prize for Fiction. A book based on “Losing Earth,” an historical account of the people who warned the world of the ravages of climate change during the 1980s, which occupied an entire special issue of the New York Times Magazine, will be published by MCD/Farrar, Straus and Giroux in April 2019; a special edition for young readers will follow. David Ulin is the former book critic of the Los Angeles Times. A 2015 Guggenheim Fellow, he is the author or editor of nine books, including Sidewalking: Coming to Terms with Los Angeles, the novella Labyrinth, The Lost Art of Reading: Why Books Matter in a Distracted Time, and the Library of America’s Writing Los Angeles: A Literary Anthology, which won a California Book Award. Jeffrey Wasserstrom is Chancellor’s Professor of History at the University of California, Irvine, the author of books including Eight Juxtapositions: China Through Imperfect Analogies from Mark Twain to Manchukuo, and the editor, most recently, of The Oxford Illustrated History of Modern China. He is the Editor of the Journal of Asian Studies, co-editor of the Los Angeles Review of Books’ “China Blog,” a member of the editorial board of Dissent, and a co-founder of UCI’s Forum for the Academy and the Public. He has written reviews and commentaries for newspapers such as the Los Angeles Times and the New York Times, as well as for a wide range of magazines, journals of opinion, and literary reviews. He is an adviser to the Hong Kong International Literary Festival and has been a featured speaker at Internazionale’s Ferrara Festival. 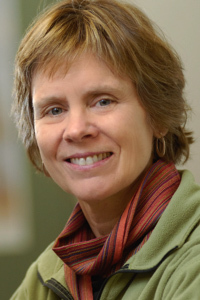 Cathy Whitlock is Professor of Earth Sciences at Montana State University and Faculty Fellow of the Montana Institute on Ecosystems. She is also Lead Investigator on NSF WildFIRE Partnership in Research and Education. She is nationally and internationally recognized for her scholarly contributions and leadership activities in the field of past climatic and environmental change, and she has published over 140 reviewed journal articles and book chapters on this topic. Her research has been funded by grants from the National Science Foundation, Joint Fire Sciences Program, National Park Service, Department of Energy, USDA Forest Service, and US Geological Survey. She is past President of the American Quaternary Association and serves on national and international advisory committees concerned with climate change. This year, she was named as a member of the US National Academy of Sciences. Jon Wiener is a professor of history emeritus at UC Irvine. His most recent books are Historians in Trouble: Plagiarism, Fraud, and Politics in the Ivory Tower; I Told You So: Gore Vidal Talks Politics; and How We Forgot the Cold War: A Historical Journey across America. He is a contributing editor to and on the board of directors of Los Angeles Review of Books, a contributing editor to The Nation, and host of a weekly afternoon drive-time interview show on KPFK 90.7 FM in Los Angeles. Peggy Weil is an artist currently developing a series of Underscapes and Overscapes; landscape portraits focused on the unseen but critical processes of climate change. HeadsUP!2012 displayed animated NASA/JPL global groundwater data in Times Square; UnderLA projected the Los Angeles aquifer onto the banks of the Los Angeles River for CURRENT:LA in 2016. The images on view in the adjacent gallery are from her video, 88 Cores, is a 4 ½ hour descent through the Greenland Ice Sheet – first shown at The Climate Museum’s inaugural exhibit, In Human Time in NYC. She teaches at USC SCA, has exhibited internationally and has work currently on view in Los Angeles at LACMA. Amy Wilentz is a Professor of Literary Journalism at UC Irvine. She is the author of The Rainy Season: Haiti Since Duvalier (1990), Martyrs’ Crossing (2000), and I Feel Earthquakes More Often Than They Happen: Coming to California in the Age of Schwarzenegger (2006). She won the 2013 National Book Critics Circle Award for memoir for her most recent book, Farewell, Fred Voodoo. Professor Wilentz has won the Whiting Writers Award, the PEN Martha Albrand Non-Fiction Award, and the American Academy of Arts and Letters Rosenthal Award. She is the former Jerusalem correspondent for The New Yorker and a long-time contributing editor at The Nation. She has written for The New York Times, The Washington Post, The Los Angeles Times, The Huffington Post, The Daily Beast, Politico, Thompson-Reuters, The London Review of Books, the Los Angeles Review of Books, Time magazine, The New Republic, The Village Voice, and many other publications. Amy is the co-founder and director of the UCI Forum for the Academy and the Public.